Jun 13 By Jen 5 Comments This post may contain affiliate links. So the big day has finally come. My oldest is graduating elementary school today! Next year he starts middle school. I honestly feel like I just brought him home from the hospital. How in the world can he be ELEVEN already?!! WHY do they have to grow up so fast?! Sometimes I wish I could freeze time and keep my boys young forever. I’m trying to live in the moment and enjoy every second with them. That’s the only way I can cope with them growing up. Oh, and by taking a million pictures of them — haha! Anyway, since today is the last day of school, summer officially begins at our house! When the weather warms up, we grill ALL the time. I love grilling things out of the ordinary. Like potato slices, fruit (check out my Sweet & Spicy Grilled Fruit Skewers on Classy Clutter last week!) and various peppers. 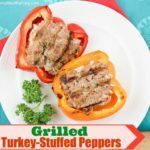 These yellow and red peppers are halved and filled with a delicious turkey mixture and then grilled! Please believe me when I tell you they have soooo much flavor!! My boys love them! 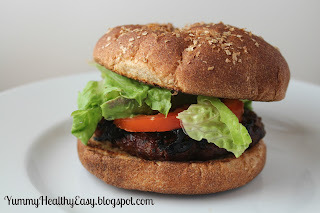 If you’re still on the look-out for a yummy Father’s Day dinner to make for dad, TRY THESE! He will devour them! 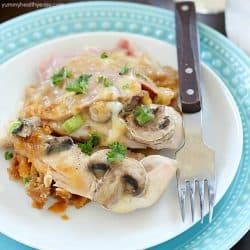 Plus, as a mom, there’s nothing better than a meal that contains a lean protein and a veggie all in one! 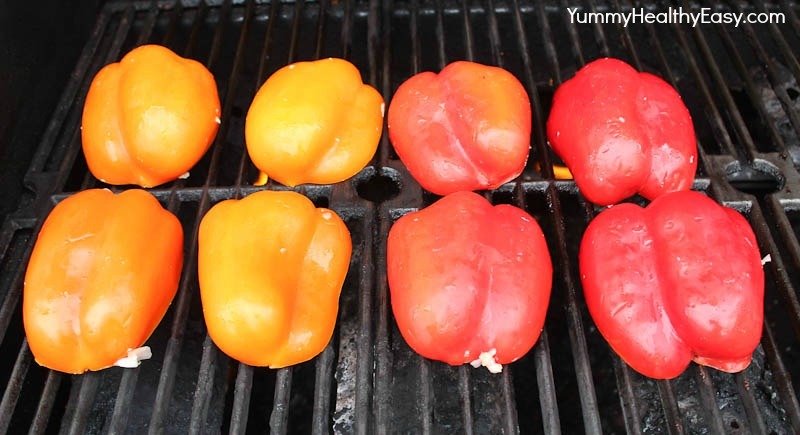 So first, half your peppers and clean them out. Mix together the turkey and seasonings. Fill peppers and grill meat-side down for about 5 minutes. 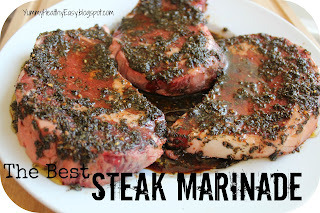 Flip over and grill for about 5-8 minutes more or until a meat thermometer reads 165 degrees. 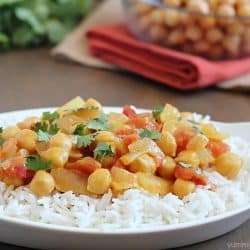 Pile on a serving platter and serve to your hungry family – they will devour them! Enjoy! 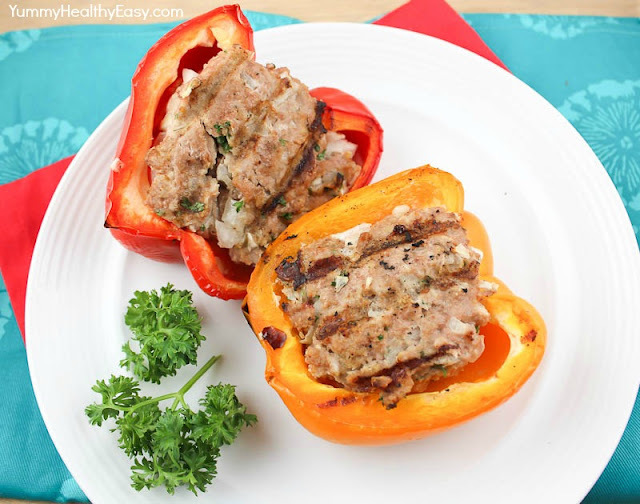 Bell peppers stuffed with a delicious and healthy turkey meat mixture and then grilled. Preheat grill to medium-high heat. Rinse and slice red and yellow bell peppers in half. Clean out insides by getting rid of seeds and any veins. Set aside. In a medium bowl, mix remaining ingredients. Use your hands to lightly mix it together. 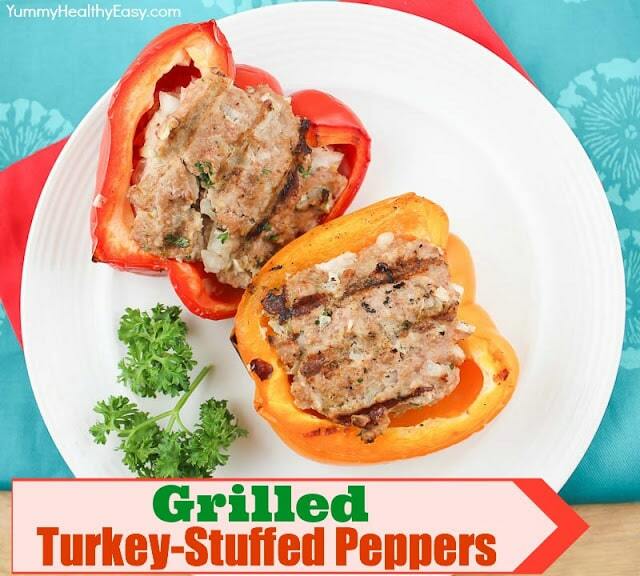 Fill each pepper half with turkey mixture. 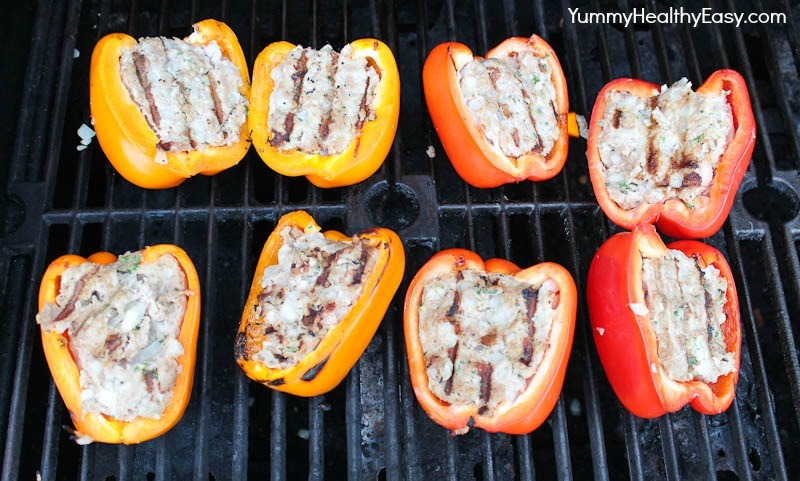 Lightly grease grill grates. 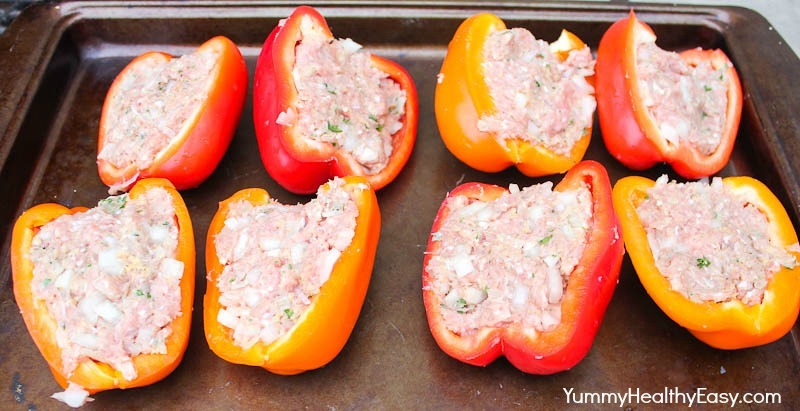 Place each filled pepper meat-side down on pre-heated grill for about 5 minutes. Carefully flip over and grill for another 5 -8 minutes - or until internal temperature reaches 165 degrees. Enjoy! 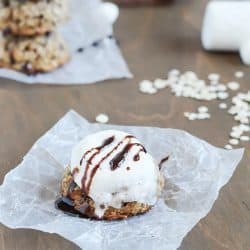 These look great, Jen! 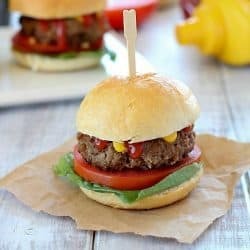 I am always looking for good ground turkey recipes….I will definitely add this to my list! 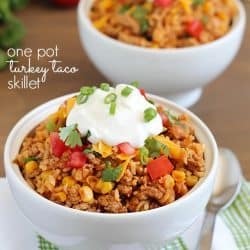 LOVE this recipe, Jen! 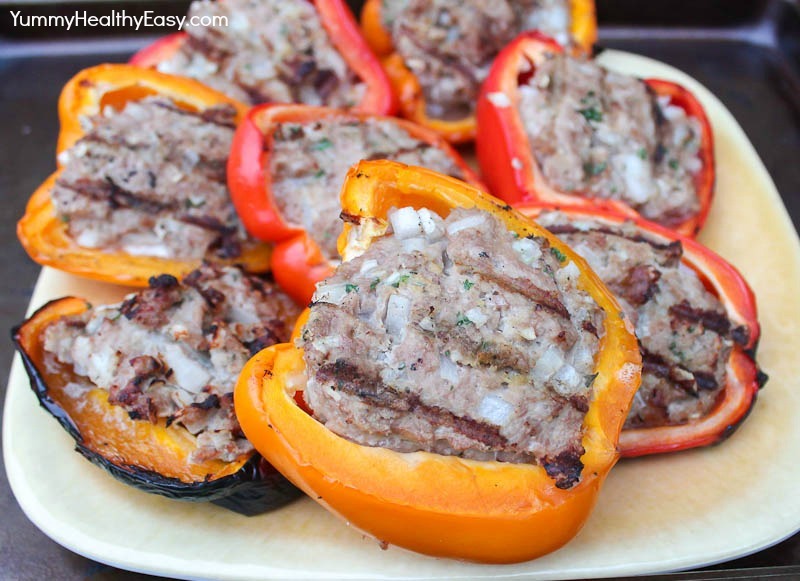 What a great idea to do stuffed peppers on the grill!